Adaptor to mate a 12A intake on 13B 4 or 6 port??? Last edited by vipernicus42; 01-11-06 at 03:18 PM. 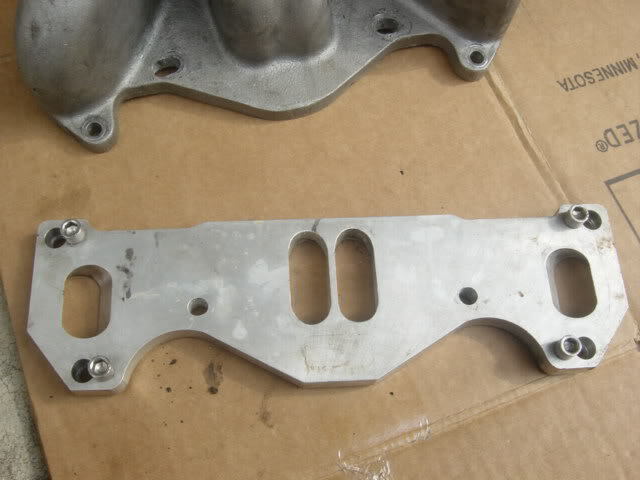 take an intake manifold gasket for a 12a and also one for a 13b to a machine shop and explain to them what you need. shouldn't be a big deal. Thanks for the info, i did get an email back from him a few days ago, they apparently no longer make this item. Anyone else guys??? I've seen them pop up on ebay once in a great while. Have you posted a wtb in all of the forums? What is YAW carby? 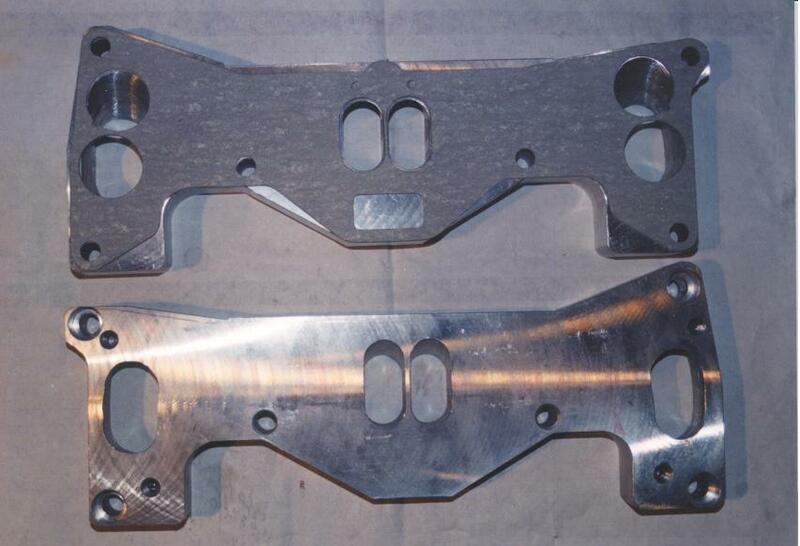 You can get aaptor plates for most applications easily here in Australia. If you don't have luck anywhere else PM me and I'll help you out. i have an old 4 port 13b intake that i think will fit a nikki. if your interested pm me and i can check it out and send you pics. Try tweakit performance. Theyre in Austrailia though! i searched forever to try to find an adapter to fit the 12a intake on a 4 port, you wont find it. i did find a place that sold an adapter to fit the 12a on a 6 port 13b. im not sure what the site was. i just used search engines, a lot. They are out there, I have one on a 76 13B, I just dont want to sale it. I could take it off and get some made or trace it out. I bet if you asked Billy he would make a run of them. how do these fit up on the block? wouldn't the manifold get in the way of the bolts that hold the adaptor plate to the engine? i can see how the ports would line up and work, but the mounting is confusing me... could someone enlighten me? I think mine just has holes through it, the studs are long enough to go all the way through the mani and still bolt on correctly. I have a 12A mani to 13B 4port motor adapter. 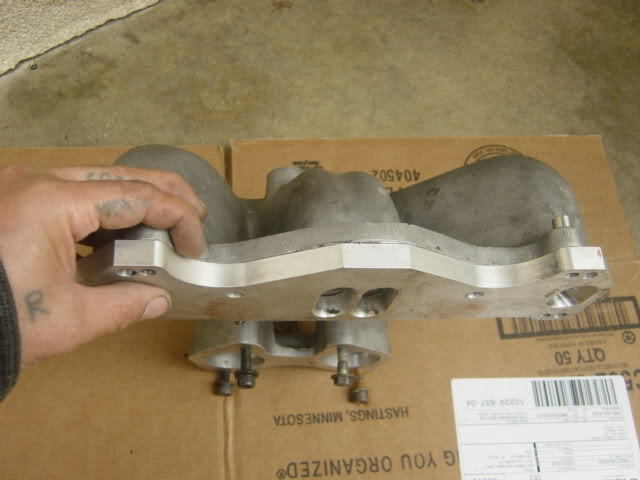 I'm pulling my carb this weekend if you're still in a jam I'll take it to the machine shop and have them copy it...? Just PM me. It's about 1 inch wide and the bolts used to attach the adapter to the motor are recessed so the head sinks into the adapter plate. Then the mani bolts to the adapter using it's own threaded holes. Being the patterns are different they don't interfere with each other. The ports are off so as they pass through the adapter plate it's on a slant to meet up correctly at the other end. I misread the type of motor. As stated in prior post, use the old 4port intake and drill/tap new studs on top to mount a 12-A carb. 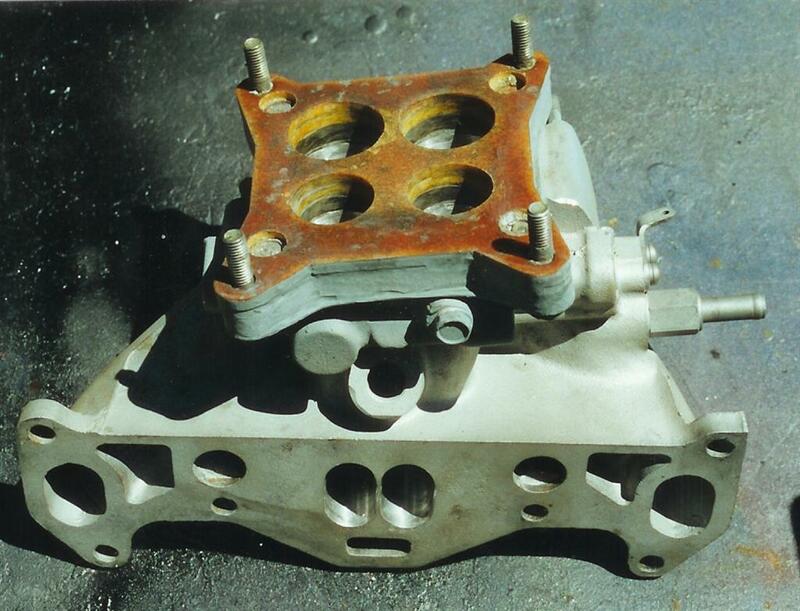 I cant find my other pix of 13-B manifold with modded RX-2 carb. this is a pice of a 12A to a 6 port 13B. This one is no longer available. I would probably be putting my Yaw (12A intake) on a 4port TII block. Sorry I can't get a griip on this subject. Are you trying to put a 12a intake system and/or carb on a 13b??? If so, why??? I put a 13 b carb (RX-4/Cosmo) on a ported 12a motor and got good results. I made the adapter myself, with only a drill press. I used two of the thick phenolic spacers from the RX-4 and epoxied the whole thing to a 12 intake manifold, then used a die grinder to blend the passages. How thick is that spacer? I was thinking about fitting my wrap around 12a weber intake to a 13b. I could make something like that if I hear flow isn't hurt much by not using a 13b wrap around intake. The last adapter plate I picked from johnny @ powerhouse was 12-A 48 IDA intake to GSL-SE 6port. But that was about 4 years ago. The other source is Nick @RR&R but Im not sure if they are still available. (Nick originated with the adapter plate when he used to sell the mikuni aggressor kit). I will check the size later. Also, if there is a need for this, contact Billy @ RESpeed. He can lend him the my adapter plate if needed. I dont know how old this post is but you can buy them at racecast.com there in Austrilia I think but check out web site..I got one from them 12a to 13b 6 port. Quick Reply: Adaptor to mate a 12A intake on 13B 4 or 6 port?? ?